For an internet user of today, it seems so hard to believe that just 18 years ago, Google wasn’t even part of the vocabulary. Fast-forward to now and Google is everywhere. It has entered our vocabulary as a noun and is even in our dictionaries. Google has completely changed the way we search for and discover fresh information. The power of Google search engine has put immeasurable power into the hands of an ordinary person. Unless you’re a complete noob to internet and Google, you would know that there are plenty of awesome Google tricks you can try out. With Google search engine becoming more and more complex and powerful, these Google tricks are growing too and provide with nifty ways to search. Check out below the coolest Google tricks you might not have known about! This is the first of our Google tricks. 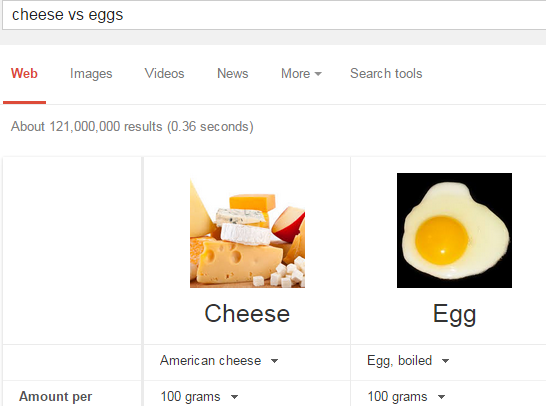 Google can be used to find calories of food you eat. What you might not have known is that you can also compare two foods with each other in Google and it will provide you comparision of different ingredients and energy values etc. This is the second of our Google tricks. 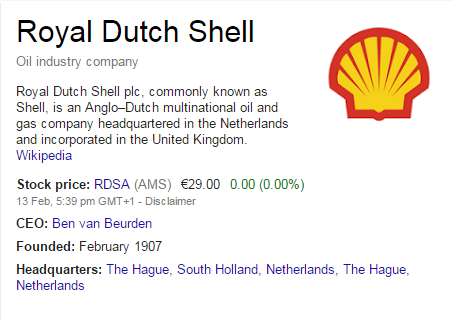 If you enter any famous company name into Google search, Google will give you it’s current stock value automatically. This is the third of our Google tricks. 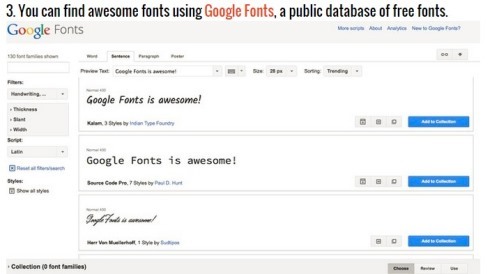 You can find awesome new fonts in Google database. Google offers these fonts for free that you can use in your webpage etc.